Fax, Email and telephone access to Aptech's well-trained technical support team. 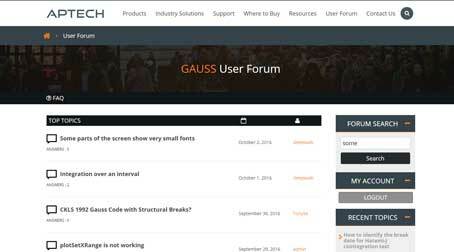 Timely and convenient answers to your technical questions on GAUSS or GAUSS Engine and applicable in-house GAUSS applications. Premier Support Contract Download Note: Download site only available with current Premier Support or Platinum Premier Support contract. Contact Aptech Systems or your local dealer for information on renewing Premier Support or upgrading to Platinum Premier Support.